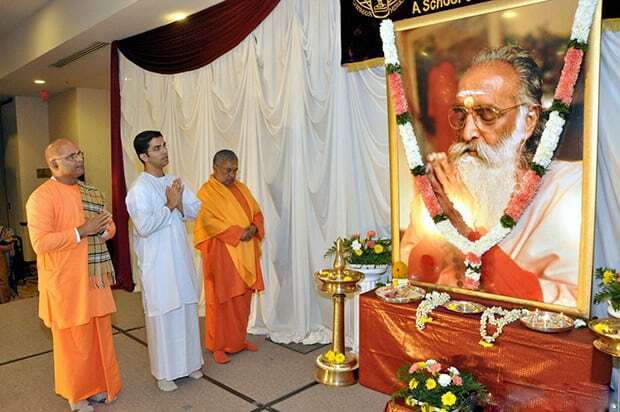 Under the guidance of His Holiness Swami Chinmayananda, devotees formed the nucleus of a spiritual renaissance movement that now encompasses a wide range of spiritual, educational, and charitable activities, ennobling the lives of thousands in India and worldwide. Presently headed by His Holiness Swami Tejomayananda, the Mission is administered by Central Chinmaya Mission Trust (CCMT) in Mumbai, India. Under Swami Tejomayananda’s guidance, the Mission has continued mushrooming across the universe and stands today with over 300 centres worldwide. Since 1951, after lecturing throughout the length and breadth of India, Swamiji, in his global pursuit, came to the United States, Canada, etc. Since 1965, he had been covering all cross sections of the various states, especially the university campuses through his annual tours of these countries.Swamiji is the inspiration behind the worldwide organization called Chinmaya Mission, the vehicle for spreading the message of Vedanta, and for overseeing numerous cultural, educational, and social service activities. Thus, the “Man” became the “Movement.” To meet the consistent demand of the ever increasing devotees in the West, and to coordinate and strengthen the missionary work, the Chinmaya Mission West came into being in Piercy, California, as the headquarters of the West. Year after year, the Vedantic discourses of Swamiji were organized by devotees. These discourses attracted and benefited serious seekers of Vedantic knowledge. 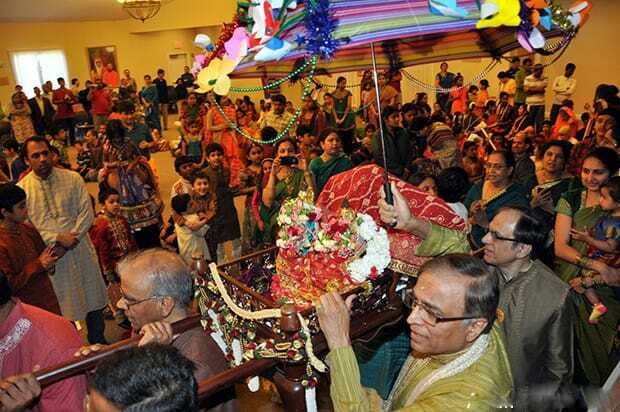 The spark kindled in one such discourse by Pujya Swamiji on “Cause and Effect” at Oak Brook Church, Oak Brook, Illinois in 1979 planted the seed for the first Gita Jnana Yagna held in Chicago. (August 10-19, 1980). This resulted in the establishment of the Regional Center of Chinmaya Mission West at Chicago. Due to the inspiration kindled through several Yagnas, hundreds of children participated in the Chinmaya Youth Camps with activities to orient them with our rich spiritual heritage. Weekly Bala Vihar and Yuva Kendra sessions held in the living rooms and basements were very effective in continuously educating and inculcating the universal value system based on our Sanatana Dharma. Spiritual camps and retreats were conducted by renting prohibitively expensive facilities available only at certain times of the year. Hence the Mission was on the look out for a suitable place for the establishment of an Ashram in Chicago. As a centrally located city which is well accessible from the east, west, south or north, by rail, road and air, Chicago was uniquely suited to house the Center of Vedantic studies in the midwest. Thus the Board of Trustees of Chinmaya Mission Chicago, after a thorough search and careful analysis, purchased 6.5 acres of land with the blessings and approval of Pujya Gurudev. The site was located at Route 83 and Stevenson Expressway. The Waterfall Glen Forest Preserve forms the backdrop for the Ashram, which is scenic, serene, secluded, yet easily accessible from major highways. 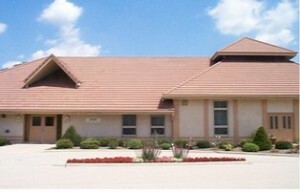 The existing building was improved, with 5000 sq. ft. of structures, to carry on the Mission activities and to serve the community. With growing enthusiastic family response for services of the Center, the existing classrooms, halls, and parking lots are overflowing requiring an immediate expansion. To meet the immediate and future needs, construction was begun in July of 1992. The first phase included a two-story structure, scheduled to be completed in October of 1993. On the upper level is a meditation hall with an altar dedicated to Shree Badri Narayana, and on the lower level are classrooms, a dining hall, and a kitchen. Paved parking facilities are provided. The inauguration of the new Center took place on October 24, 1993. We were, however, fortunate that on July 1, 1993 Pujya Gurudev blessed us by spending two hours at the Shrine location, even though in a wheelchair, giving us detailed instructions for the upcoming inaugural function. As originally planned, the inauguration was to be done by Pujya Gurudev on August 28, 1993. It was the Infinite Lord’s will to withdraw into Himself, the crumbling and overworked equipment, as it had more than served the purpose intended by Him. Thus the informal inauguration of the Shrine at the Holy hands of our beloved Pujya Gurudev is over, along with His love and blessings. Inauguration of the new building and Sthapana Mahotsava for Lord Badri Narayana took place on October 24, 1993 by Pujya Swami Tejomayananda. The success Chinmaya Mission, Chicago is mainly due to Gurudev’s blessings, the dedicated and enthusiastic seva of the members of the Chinmaya Mission, Chicago families, the Acharyas and teachers, and last but not least, the continued encouragement and support rendered by the numerous devotees of Gurudev. Currently (as of February 2011) the Center is conducting several Saturday & Sunday Study Groups for adults and nearly 530+ children attend Bala Vihar and youth classes. The mission is being served by our resident Acharya Swami Sharanananda. Please take a look at the weekly activity schedule to appreciate the wide range of services are being provided at Chinmaya Mission, Chicago.